Over the past month, I have been working to pass two humane bills that would decouple greyhound racing from other forms of gambling in Florida. 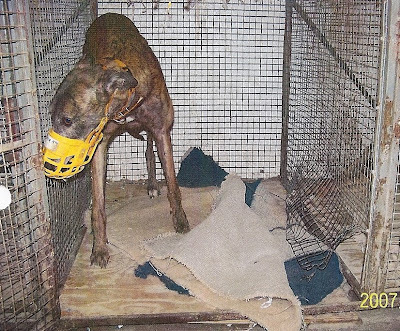 The Sunshine State is now home to a majority of dog tracks nationwide, and these proposals (House Bill 1145 and Senate Bill 1594) would significantly reduce greyhound injuries and confinement. These bills are supported by every major animal protection group in Florida and nationwide, and have already begun to advance. Earlier this week, a House subcommittee approved HB 1145 by an overwhelming vote of 14-1, and a Senate Committee has already voted in favor of SB 1594. Despite these initial victories, there is a long road ahead. To become law, these bills must still pass four additional committees, and be approved by the House of Representatives, Senate, and Governor. In short, this debate has only just begun. While I am thankful for the progress that has already been made for Florida's greyhounds, I am also disturbed by the vitriolic, even violent rhetoric that is now being used by greyhound breeders who are opposed to greyhound decoupling. In fact, there is evidence that an organized campaign is now underway to defeat these common sense measures, using scare tactics and intimidation. This underhanded effort began last month, when dog racing supporter Leslie Wootten posed as an independent journalist, and then wrote a series of "articles" attacking GREY2K USA and other greyhound protection advocates. Wootten used flawed logic to argue that greyhound decoupling would actually harm greyhounds, a claim that is not only false but is completely absurd. 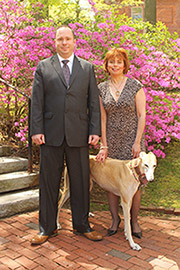 Christine Dorchak and Grey2k (sic) couldn't be less concerned with the safety and welfare of greyhounds. Curiously their actions seem to result in the deaths of more greyhounds than are saved ... that red dress she wore when testifying is stained with the blood of those greyhounds. When greyhound breeders learned of this message, they applauded the author. In a post on American Greyhounds, a website used by greyhound breeders, pro-racing adoption advocate Pam Davis referred to this as a "pretty good" post, and encouraged greyhound breeders to "comment away on this one!" These comments by Davis contain a good dose of irony, since it was only a few months ago that she asked GREY2K USA to assist her in filing a complaint against a greyhound trainer at Jefferson County Kennel Club. I listened to the podcast, and it seemed evident to me that Sachs is certainly funded by Grey2K (sic) + the HSUS nutters ... it made me sick just listening to the condescending cow! Lobbying works by constant irritation......they'll give in just so you will leave them alone. A similar comment was posted by greyhound enthusiast Brian Lee, who posted this morning that greyhound breeders are engaged in "political warfare." While these statements are hurtful, they should be a rallying cry for greyhound protection advocates. Rather than respond in kind, we must channel our aggravation into action. We must strive to make a sound, policy-based argument that greyhound decoupling should pass, and be a chorus of compassionate voices in doing so. 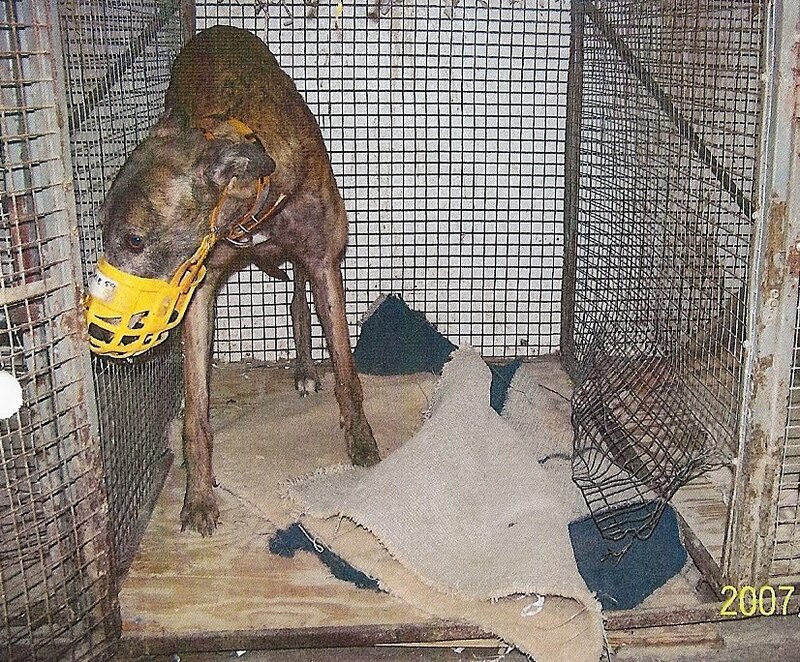 Because at the end of the day, greyhound breeders are lashing out because they are desperate. They simply cannot stand the fact that their cruelty is finally coming to an end. Truck on Christine, your efforts are working and will continue to pay off for the voiceless. Those that spew words of greed are just in for the money, we cannot allow their words hurt those of us who truely care! The most inexplicable part about the mention of the "red red dress she wore while testifying" is that I was actually wearing a tan cotton suit!!! I guess the dog profiteers are "seeing red" -- both literally and figuratively! Thank you, Carey, for posting such important, fact-based details about greyhound breeders and the disturbing tactics they take to attempt to ensure that their cruel, selfish, and profit at the expense of animal lives'-driven businesses are kept intact, no matter what. Their words and actions are symptomatic of the inhumane and selfish logic that drives their business tactics as well. 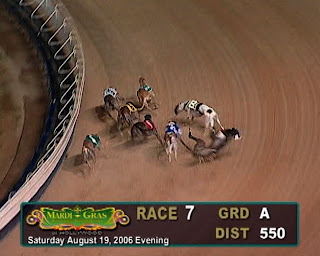 We know that greyhound racing is in serious decline. The breeders and trainers are desperate to hang onto it, and are taking desperate (and pathetic) measures. We may face setbacks, but compassion and common sense will prevail in the end. As an aside, Pam's comments disgust me. I know how hard she works for adoption, but, well, she wouldn't have to work that hard if there weren't any dogs being raced. And frankly, the world would be a much better place without JCKC. We got a haul of dogs from them last year, and Pam reported that one of the trainers was caught stealing dog food from the adoption kennel. Despicable.